Meeting Spaces | Conference Services, U.Va. UVA offers meeting and lecture spaces of all shape and sizes, from gathering spots across Grounds to unique rooms at UVA-owned and managed properties near the University. It's likely that we have spaces meeting your requirements. But what are those spaces? And are they available? The Conferences@UVA team of meeting planners can work with you to help identify the locations that will best work with your program’s needs. With some basic information about your event, we can navigate UVA's facilities to to help identify the right meeting rooms and spaces. A variety of conference rooms throughout the University may be reserved for meetings and events. Most are managed by individual departments; some are located in departmental meeting facilities or dedicated conference centers. We know what's out there, and we can assist you in locating and reserving meeting rooms that best fit your program's requirements. 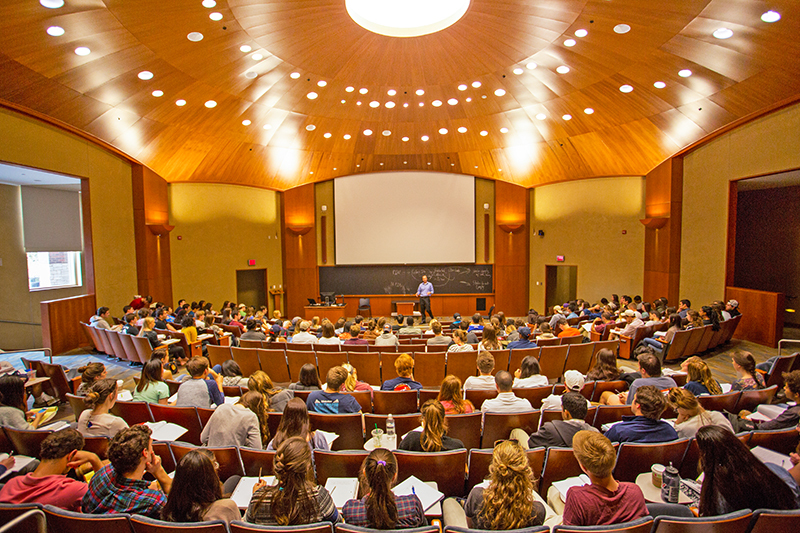 As a major university, UVA and its Grounds have no shortage of large lecture halls and auditoriums! As these facilities are used primarily as student classrooms, booking these larger spaces can come with challenges and limitations. We are familiar with the processes involved, and can help guide you through the system to search for available space, and if necessary, assist in finding alternative locations. Sometimes event needs are unique, and you require a space that's a little different. UVA offers a number of multi-purpose facilities which are flexible and adaptable. They can be configured to host sit-down dinners, theater-style meetings or presentations, team building activities, and more. Just let us know what you are looking for, and we can suggest on-Grounds spaces that you may not have considered.